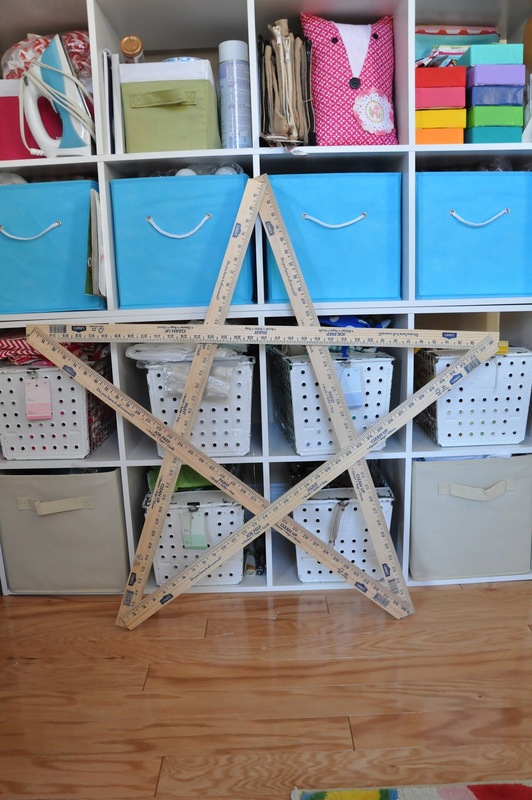 Little Bit Funky: 20 minute crafter - make a giant star for less than $5! 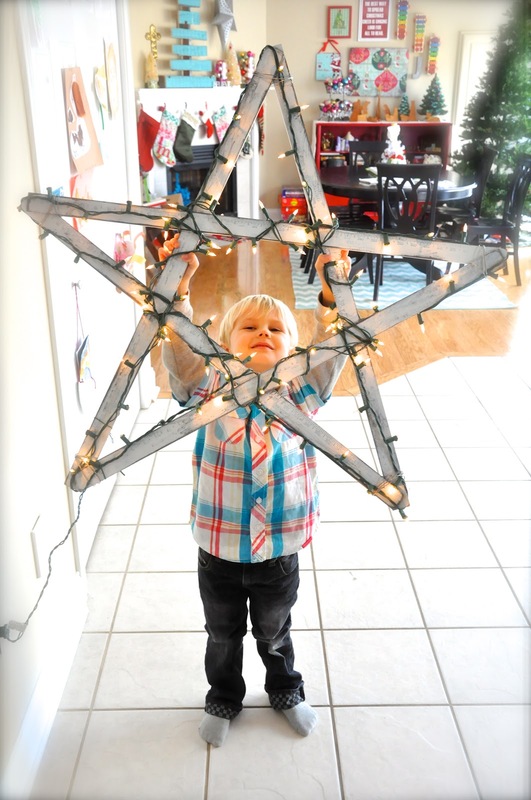 20 minute crafter - make a giant star for less than $5! Since moving we have a whole new canvas for Christmas decorating this year. There's a large space above our front door that I wanted to hang a HUGE wreath on...only problem was that a wreath as big as I wanted was at least $60-$70. Not gonna happen. In the midst of my search I happened on a photo taken by my friend Trish from Daisys and Dots. She had my $5 solution. 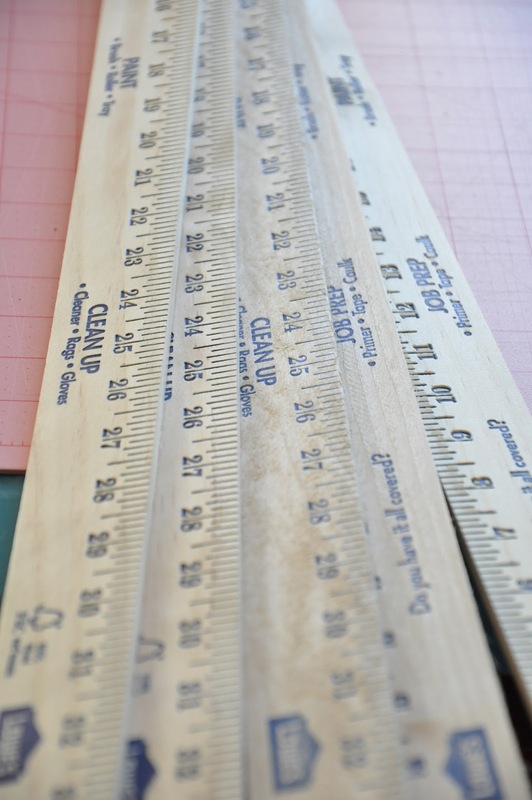 Yardsticks from Lowes (on sale for .69c each), hot glue and you could stop there. For another couple of bucks I added some outdoor paint and lights. :) Done. Huge. Awesome. You could even make them from fun vintage ones if you didn't want to put it outside. All I did for assembly was to lay them out in a star shape, fiddle with them until they were "right" and hot glue all the placed they touched with generous amounts of hot glue. Here is what my corners looked like if you need a little visual. I then painted it black (for aging purposes), then coated it in white outdoor paint. Then covered it with some outdoor sage lights. To add a little rustic touch I wrapped the ends in wire. We took this one to friends as a gift and they immediately hung it on their house! It would make a great gift year round...why don't you go make some? Love this! It would be perfect over our garage door too! Might have to make one! Thanks so much for sharing. 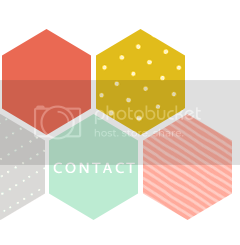 I cannot wait to make these in different colors. This would look fantastic above any mantel! Love this! I am going by Lowes today to get some yardsticks. Thanks for sharing. Super great idea!! I never realized Lowes yardsticks were so affordable, I can't wait to get my hands on some. 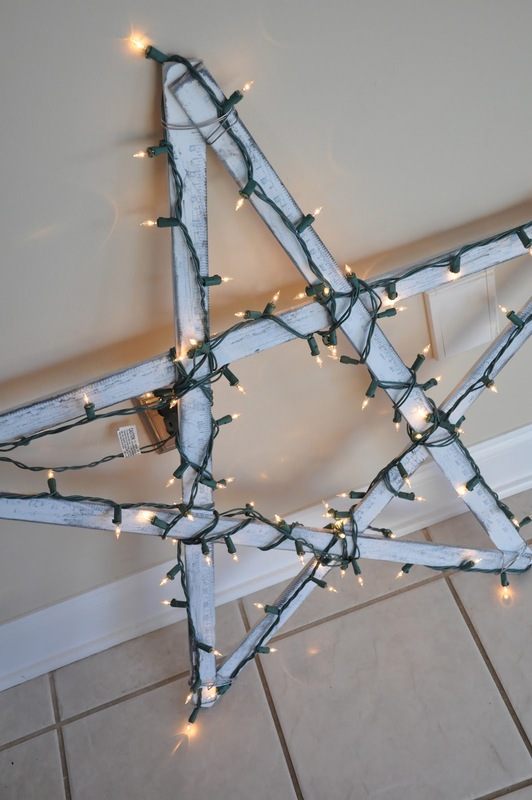 Great tutorial, this rustic star will match our country Christmas home perfectly - thanks! I'm making one!! Love this idea and thinking it will look awesome without lights on my mantle. 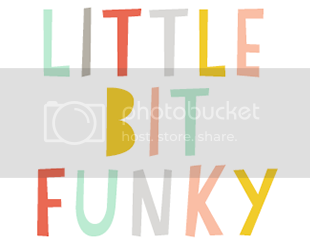 Thanks again for another creative project, you rock! I adore this idea! THanks for sharing. Awesome idea... so simple and sweet! Thanks for another great project. My father in law just made me one of these with fence boards. But yard sticks...amazing! This is awesome I'm gonna make 3 thanks for the crafty idea.. I love stars! Amazing. I am going to make a million of these guys! My parents have always had the neighborhood star which was passed down from my grandparents. 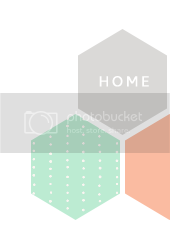 Now I can easily make my own and for low cost. Thanks! If you are going to make multiple stars, using "lath" is a better bargain. I got a bundle (makes probably 7 stars) for around $12! It can be found at your local hardware stores (Lowe's, Home Depot, Menards, etc). 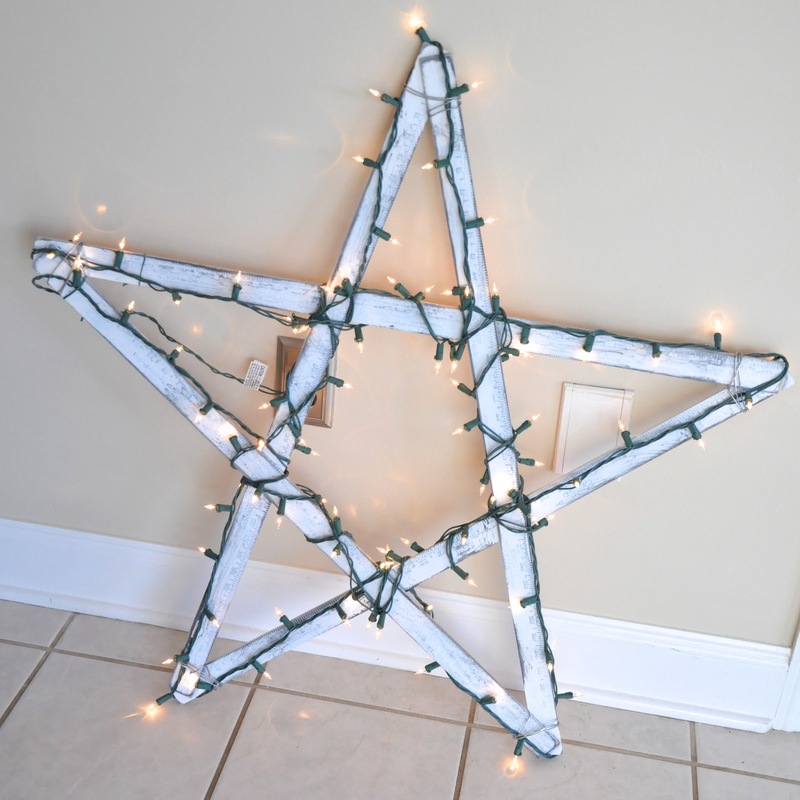 It is a foot longer so it will make a bigger star and is a bit thicker so a stronger star. Thanks so much for the inspiration. I made mine out of Pallet wood. You can see it here. Of course I gave you credit and linked to your post! Love, love LOVE!!! Pined it! Thanks for sharing!! Just made this today! come see wont you http://simplysimplisticated4.blogspot.com/2013/10/easy-yard-stick-star.html Thanks so much for the inspiration! Wow! What a great and easy craft! Think I need to go shopping now. Got some areas begging for something like this!!! This is such a cool idea...thanks for sharing. Will be making some for gifts. I wish we weren't in the middle of a HUGE snow storm! I ordered prelit garland this morning and will have to pick up some yard sticks when I get out again. So excited for this!! Thank you so much!